Today, Circuit Court of Cook County Judge Erica L. Reddick granted Alonzo Smith’s petition for a Certificate of Innocence. Mr. Smith was represented by a team of attorneys from People’s Law Office, led by Joey Mogul, along with Ben Elson, Flint Taylor, and Brad Thomson. Mr. Smith has consistently and persistently contended he was tortured by Detective Peter Dignan and Sergeant John Byrne, members of former Chicago Police Commander Jon Burge’s notorious Midnight Crew. Burge threatened Alonzo, telling him they has ways of making people talk. After they brought Alonzo to the basement, Dignan and Byrne handcuffed him behind him back and repeatedly suffocated him with a plastic bag and beat him about his body with a baton and flashlight while they made racist comments and laughed at his pain. Bloodied, bruised, and fearing for his life, Alonzo relented and falsely confessed to a murder and robbery he did not commit, the details of which were fed to him by Dignan and Byrne. The tortured confession was then used to secure his wrongful conviction and close to 20 years of incarceration, separating him from his wife and four young children. In 2013, attorneys from the People’s Law Office filed an amended post-conviction petition on behalf of Mr. Smith, setting forth a wealth of newly discovered evidence to corroborate his torture allegations. This evidence consisted of reports, testimony and court decisions which unequivocally established that Burge and the men under his command systematically tortured and abused suspects and witnesses at Area 2 and 3 Police Headquarters from 1972 through 1991. The new evidence also demonstrated that Dignan and Byrne have been accused of torturing scores of Black people, just as they did Mr. Smith at Area 2. In 2015, attorneys from our office represented Mr. Smith in an evidentiary hearing before Judge Reddick to determine whether police physically coerced Mr. Smith into making a confession. Judge Reddick ruled that the police violated Mr. Smith’s constitutional rights, finding that the evidence showing he was tortured was “staggering.” With her ruling, Judge Reddick granted Mr. Smith’s post-conviction petition, vacated his conviction and ordered a new trial. The State subsequently dismissed all charges against Mr. Smith. Our office then filed the petition for a Certificate of Innocence, which we have aggressively litigated for over a year and a half. Today, announcing her decision from the bench, Judge Reddick ruled that the evidence showed, by a preponderance of the evidence, that Mr. Smith was innocent of the crime he was convicted of committing. Our office also represented Mr. Smith in a federal civil rights lawsuit against Burge, Dignan, Byrne, former Mayor, Richard M. Daley, the City of Chicago and Cook County for their roles in his torture and wrongful conviction. We recently obtained favorable settlements in the case, totaling $5.55 million from the City of Chicago and Cook County. Mr. Smith was thrilled with the Court’s ruling and relieved he now has proof his innocence. Our legal work to vindicate Mr. Smith is part of People’s Law Office’s decades-long commitment to fighting against racially motivated state violence, including Chicago police torture and representing those who have been wrongfully convicted. 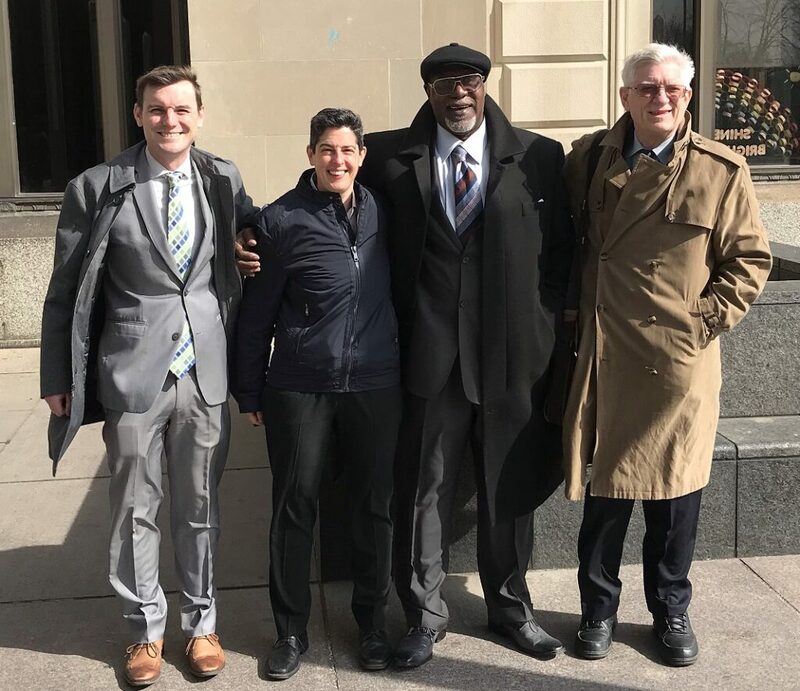 Today, the Abolitionist Law Center and the Peoples Law Office filed Habeas motions in the United States District Court for the Eastern District of Pennsylvania on behalf of Janet Hollaway Africa and Janine Phillips Africa of the MOVE 9, to appeal the decision of the Pennsylvania Board of Probation and Parole (board) to deny them parole in May of 2018. Despite maintaining favorable recommendations and receiving no disciplinary infractions for decades, Janet and Janine were denied parole even though others similarly situated were released by the board. In May of 2018, the board ruled the petitioners should not be granted parole due to their lack of remorse, minimization of the offenses committed, and an unfavorable recommendation of the prosecutor. One of the many issues the petitioners, through their attorneys, raise is the erroneous justifications used to deny them parole because the board’s false allegations are contradicted in the record. While the board stated there was opposition to their release, there was in fact support from the district attorney’s office. As such the motion argues the board violated substantive due process rights of Janet and Janine by denying them appeal for reasons that do not include rehabilitative and deterrent purposes. Not only do the petitioners have a favorable recommendation in support of their release, they also have family and community support, employment options, and access to stable housing. Moreover, the petitioners have accepted responsibility for their actions before the board, in their community,and with their advocacy works. In addition to Janet, Janine and Mike Sr., three other members of the MOVE 9 remain incarcerated, as two died in custody. During the August 8, 1978 altercation, a Philadelphia police officer was killed and following a highly politicized trial, the MOVE 9 were convicted of third-degree homicide. All nine were sentenced to 30-100 years in prison. The six surviving members of the MOVE 9 are all eligible for parole. Yesterday, August 16, 2018,the Cook County State’s Attorneys’ Office dropped all criminal charges against Lee Dewey (they/them). Lee, represented by People’s Law Office attorneys Joey Mogul and Brad Thomson, faced multiple false felony charges stemming from their arrest at the SlutWalk Chicago demonstration in 2017. On August 12, 2017, Lee was exercising their Constitutional rights to freedom of speech and assembly at the Slutwalk Chicago march alongside more than 100 other people. During the march, members of the Chicago Police Department attempted to force the demonstrators off the street and onto the sidewalk and arrested several demonstrators in the process. As the remaining protestors were demanding their release, a Chicago Police Officer grabbed Lee’s bicycle, causing both Lee and the officer to fall to the ground. As a result of the aggressive action by the police, Lee’s bicycle fell on top of Lee. Several police officers advanced toward Lee, and while Lee was on the ground, in the midst of being handcuffed, an officer stepped on Lee’s head and ground it into the pavement. Lee sustained an open cut in the midst of their arrest, and after being transported to the police station, Lee disclosed to the police they are HIV+, out of an abundance of caution and due to their knowledge of the criminalization of HIV/AIDS. Lee was then falsely charged with Aggravated Battery on a Police Officer (for allegedly biting an officer on his ankle) and Resisting Arrest. A Cook County Judge gave Lee a $100,000 D-bond that was clearly intended to keep Lee in Cook County Jail. Luckily, Chicago Community Bond Fund immediately posted the $10,000 needed to release Lee. Lee was the only person arrested at the Slutwalk 2017 who was charged with felonies. All the other individuals arrested were charged with misdemeanors or ordinance violations, and their cases were resolved with fines and/or community service. If Lee had been wrongfully convicted of the Aggravated Battery charge, a Class 2 felony, they could have been sentenced to serve 3-7 years in prison. If they were wrongfully convicted of the felony Resisting Arrest charge, they could have been sentenced to 1-3 years in prison. In the course of the criminal case, Lee’s attorneys obtained video from the body-worn cameras of the officers at the demonstration. The footage demonstrated clearly that Lee did not bite or attempt to bite any officer. Lee’s defense committee organized public support for Lee (#FreeLeeFromCPD), raised funds for their criminal defense, and organized a call-in campaign requesting that Cook County State’s Attorney Kim Foxx drop all the criminal charges. Organizing on Lee’s behalf, the defense committee also secured the support of 30 local and national LGBTQ and HIV/AIDS advocacy organizations. These groups signed onto a letter delivered to the Cook County State’s Attorney’s office in July 2018 demanding that all criminal charges be dropped. After receiving this letter, the Cook County State’s Attorney’s Office dropped all criminal charges against Lee. In exchange, Lee pleaded guilty to violating the Chicago municipal ordinance regarding public assembly (a non-criminal offense). As part of the resolution, Lee was required to pay a $200 fine and do community service. In a remarkable move, the Cook County State’s Attorney’s Office recognized that the outstanding organizing that Lee has done for years constitutes community service. The judge agreed that Lee had satisfied all community service requirements in light of their work as the lead organizer for CommunityCave Chicago, as well as their work as the treasurer of the board of Upswing Advocates, and their membership on the community advisory board of the AIDS Foundation of Chicago. Lee’s charges in this case fit into a disturbing pattern of cases nationwide where LGBTQ people and people living with HIV/AIDS have been falsely charged or over charged based on their gender identity, sexual orientation, and/or HIV/AIDS status. This problematic trend is often based on homophobic and transphobic notions that LGBTQ people are prone to commit violence or wish to spread disease. 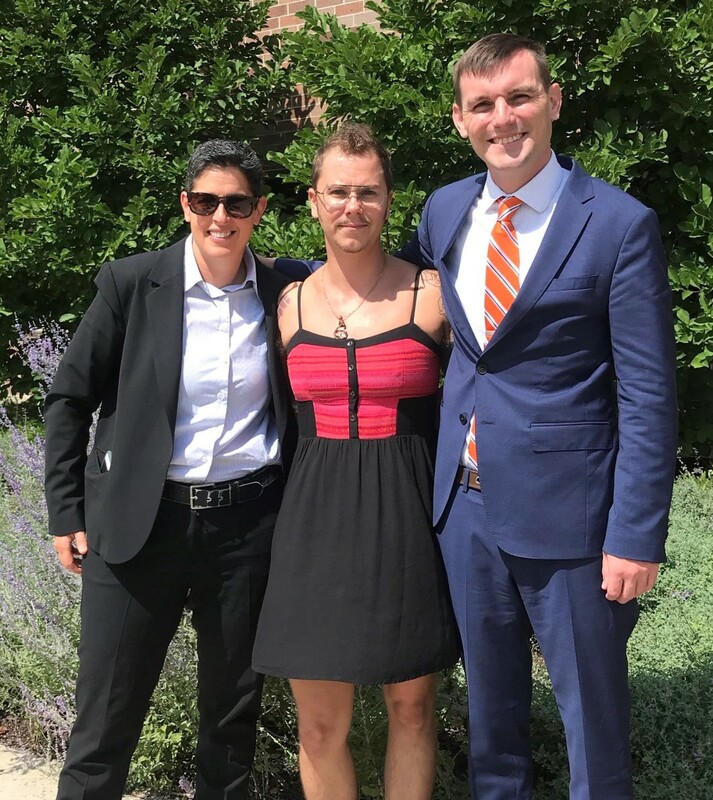 For decades, lawyers from People’s Law Office have represented people criminalized based on their LGBTQ, gender non-conforming, or HIV/AIDS status. In fact, Mogul, who represented Lee, co-authored the book Queer (In)Justice: The Criminalization of LGBT People in the United States (Beacon Press, 2011) about the policing, prosecution and punishment of the LGBTQ community in the U.S. criminal legal system. “We are delighted that Lee is now able to return to their life without the threat of prison hanging over their head. 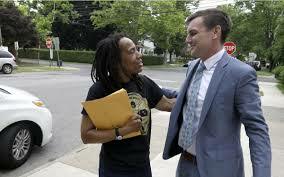 While Lee should not have had to endure any prosecution at all, this resolution of a felony criminal case is uniquely positive and was only made possible because of the strength of Lee’s community, including the defense committee, legal team, and supporters. Above all, Lee’s bravery in fighting this case and demanding dismissal of all criminal charges was the core ingredient in this successful outcome,” said Sharlyn Grace, co-Executive Director of the Chicago Community Bond Fund and member of Lee Dewey’s defense committee. On August 10, 2018, the Seventh Circuit Court of Appeals in a unanimous decision authored by the Honorable Diane Wood rendered an important victory to the plaintiff in a wrongful death in custody case brought by the People’s Law Office. Not only was the case remanded for a new trial, but in a precedent-setting portion of the decision those responsible for the safety and welfare of pretrial detainees will be held to a higher standard of care requiring them to reasonably protect and provide adequate medical care to those in their custody. In late 2011, Lyvita Gomes, an Indian national, was taken to Lake County Jail for not having appeared for jury duty, even though her immigration status made her ineligible for jury duty. She told the arresting officer she was not well and when she got to the jail, she told her jailers she was not going to eat until she got home. She was placed on suicide watch and for the next 15 days, she didn’t eat or drink, and she barely spoke. It is obvious that patient is in a psychotic state of mind, whereby her judgment is impaired. Her responses are not based on reality. She is deemed clinically incompetent to participate in her treatment plan. Patient does not understand the risks of not having adequate nourishment. She is likely to jeopardize her physical well-being by her actions. He took no action other than warn her she could die. The internist, rebuffing nursing reports that she was deteriorating, did nothing except tell the nurses to continue monitoring her and keep warning a nonresponsive Ms. Gomes that she could die. On the 15th day, another internist saw her, and shocked that she had been allowed to lapse into a state of severe dehydration and multiple organ failure, called an ambulance to rush her to hospital. At the same time, jail personnel finally went in to court seeking a bond reduction and she was technically released from custody. Tragically, it was too late to save her life and days after her arrival at hospital, Lyvita Gomes died as a result of complications of starvation and dehydration. At the 2016 trial, Lyvita Gomes’ sister and brother-in-law traveled from London, England to testify and the Estate was represented by a community member who was called into service as a result of outrage in the immigrant and Latinx communities of Waukegan over the death of a woman in the custody of the Lake County Jail. 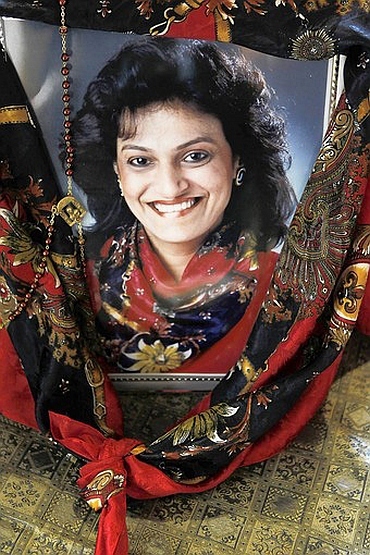 The trial court refused to allow the jury to consider whether the psychiatrist and internist caused her death and whether they failed to protect her from herself. The jury awarded damages of $119,000 against a jail social worker for the pain and suffering endured by Lyvita Gomes over the 15 days on incarceration. The Seventh Circuit Court of Appeals ruled that there was sufficient evidence to hold the psychiatrist and internist liable for Lyvita Gomes’ death, and remanded the case back to the trial court to give her Estate the opportunity to have a jury consider their liability and provide damages for her death, on constitutional theories as well as medical malpractice. In the decision that changed the analysis of constitutional claims brought by pretrial detainees, the appellate court ruled that the standard of proof for denial of adequate medical care and failure to protect claims is now and in the future will be “objectively reasonable” and not “deliberate indifference,” holding that the lower standard set forth in Kingsley v. Hendrickson, 135 S.Ct. 2466 (2015) applies in this Circuit. 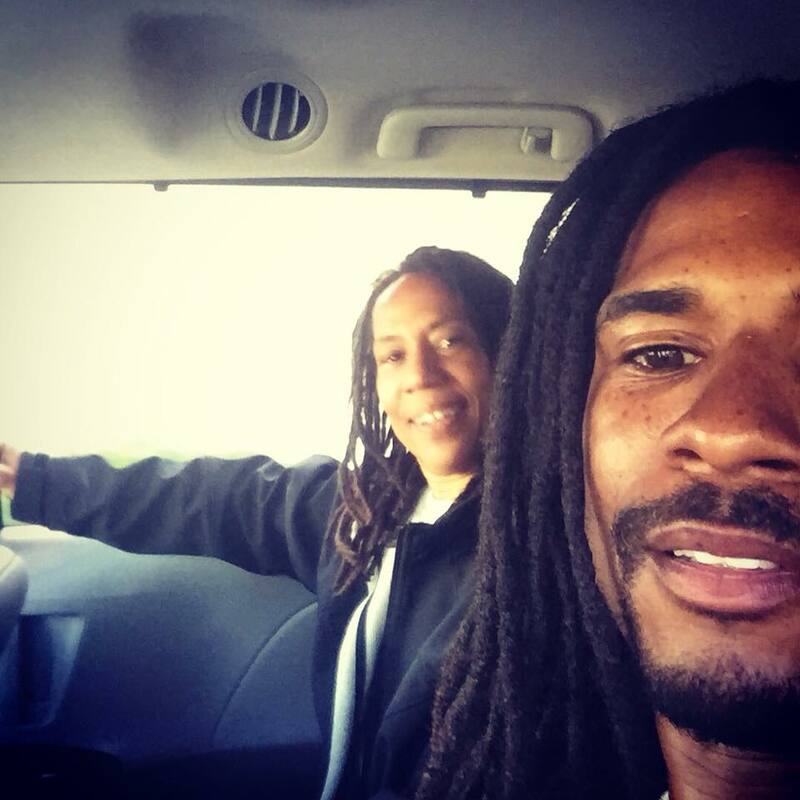 On Saturday, June 16, Debbie Africa of the MOVE 9 was released from Pennsylvania state prison. Debbie was granted parole after spending 39 years, 10 months in prison. Debbie was imprisoned since August 8, 1978, following an altercation between the Philadelphia police and the MOVE Organization. Debbie was one of 9 MOVE members, collectively known as the “MOVE 9,” who were convicted and sentenced to 30-100 years in prison following the 1978 altercation, despite evidence that exonerated them. Debbie was eight months pregnant at the time of the 1978 incident and gave birth in jail to her son, Mike Africa Jr. (pictured above). Debbie has been incarcerated for Mike’s entire life and the two spent time together outside of prison for the first time following Debbie’s release. People’s Law Office attorney Brad Thomson, along with lawyers from Abolitionist Law Center in Pennsylvania, represented Debbie in her application for parole. Unfortunately, Janet Africa and Janine Africa, two other members of the MOVE 9, were eligible for parole at the same time as Debbie and we denied. MOVE is a Philadelphia-based radical, Black-led liberation organization opposed to environmental destruction and state violence. On May 13, 1985, seven years after the arrest of the MOVE 9, the Philadelphia police infamously dropped a firebomb on the MOVE home, killing 11 people, including 5 children and allowing over 60 homes to burn to the ground. Debbie Africa after her release from prison, with Brad Thomson, one of her attorneys. At least 195,000 individuals – 95% Black and Latinx – are listed in an error-filled database from which their names can never be removed. Chicago – The Chicagoans for an End to the Gang Database, a coalition of individuals and community organizations, gathered in City Hall on Tuesday to announce a new federal class action against the City of Chicago and Chicago Police Department (CPD), targeting CPD’s unconstitutional Gang Database, and urging City Council to take action. The suit was filed on behalf of four individual plaintiffs, three Black and one Latino. Each plaintiff was falsely identified as a gang member and has since been subjected to irreparable harm and harassment because of the wrongful designation. “I came up in the streets and have worked hard to create a positive life for myself. I never joined a gang and I focused on getting my education. I want to help other young people do the same thing. That’s my calling and my mission in life. But because I’m a young Black man, CPD slapped a gang label on me. Now I can’t get my dream job. I’m filing this lawsuit to clear my name and to help other people whose lives are destroyed because of the lies CPD tells through the gang database,” said Donta Lucas, a Plaintiff in the suit. Also joining the lawsuit are a number of community-based organizations with deep roots in Chicago’s Black and Latinx communities, including Black Youth Project 100- Chicago, Blocks Together, Brighton Park Neighborhood Council, Latino Union, Mijente, and Organized Communities Against Deportation (OCAD). “As long as the Gang Database continues to indiscriminately add Latinx and Black Chicagoans to their list, Mayor Emanuel cannot call Chicago a Sanctuary City. Making Chicago safe for immigrants starts today with making sure that the gang database stops being a list of people for ICE to pick up during immigration raids,” said Tania Unzueta, Policy Director for Mijente and one of the organizational plaintiffs. The lawsuit notes that CPD has not developed any consistent guidelines on inclusion in the Gang database, such as information on an individual’s criminal conduct or active gang activity. Instead, CPD officers have unlimited discretion to add names to the list. “CPD has long been on notice that the Gang Database discriminates against Black and Brown Chicagoans and violates people’s constitutional rights by creating barriers to employment and immigration relief, subjecting people to unlawful detention and searches and seizures and constant police harassment and surveillance. The gang database is riddled with inaccuracies and serves no legitimate law enforcement purpose—all it does is further institutionalize CPD’s well documented policy and practice of racial profiling.” Said Vanessa del Valle, counsel for the Plaintiffs in the lawsuit. The CPD confirmed that, as of May 2018, the Gang Database lists more than 128,000 adults. Although data on juveniles was not released, a new report from the University of Illinois at Chicago (UIC) Policing in Chicago Research Group estimates that the total number is closer to 195,000. Of those, 95% are Black or Latinx. In addition to using the database to harass and falsely detain people, CPD provides its incorrect, inconsistent database to third parties. This shared, inaccurate information triggers further repercussions that can include job loss, denial of access to public housing and public education, inability to secure certain licensures, ineligibility for bond, and denial of immigration relief. “Despite condemnation from local, national and international organizations the Chicago Police Department, in coordination with ICE and elected officials, continues to use the gang database as a tool to brutalize, surveil, and harass Black and Brown communities. This database hasn’t led to positive change for the Chicago communities directly impacted. Our tax dollars should not be spent on instruments of racism, or on tools that criminalize and scapegoat people of color. Chicago’s so-called problem with violence is rooted in Chicago’s problem with racism and inequality. Our resources should be used on the tools, projects and initiatives that enhance our communities, bring ordinary people together, and allow us to prosper”, said Todd St Hill, Member of BYP100. The lawsuit was filed today in the U.S District Court for the Northern District of Illinois and alleges multiple violations of due process protections under the U.S. Constitution. The suit also alleges that the manner in which CPD gathers and disseminates false information about gang membership violates the Illinois Civil Rights Act, which prohibits racial and ethnic discrimination. Defendants include the City of Chicago, Chicago Police Superintendent Eddie Johnson, and several officers within the Chicago Police Department. Additional attorneys for class include Elizabeth A. Homsy of the Law Office of Elizabeth A. Homsy, Sheila Bedi of the MacArthur Justice Center Northwestern Pritzker School of Law, Brendan Shiller, Chris Bergin, Tia Haywood of Shiller Preyar, LLC. and Joey Mogul of the People’s Law Office. June 18, 2018: On Tuesday, June 19, 2018 at 10 a.m., MOVE member Debbie Africa will make her first public appearance since being released from prison after 39 years and 10 months of incarceration. On Saturday, June 16, Debbie was released on parole from State Correctional Institution (SCI) Cambridge Springs. Debbie will be speaking at a press conference that will be held at Faith Immanuel Lutheran Church, at 65 Penn Blvd. in East Lansdowne, Pennsylvania. Other speakers will include Debbie’s son Mike Africa Jr. and Brad Thomson, one of Debbie’s attorneys. Debbie was imprisoned since August 8, 1978, following an altercation between the Philadelphia police and the MOVE Organization. Debbie was one of 9 MOVE members, collectively known as the “MOVE 9,” who were convicted and sentenced to 30-100 years in prison following the altercation. Debbie was eight months pregnant at the time of the incident and gave birth in jail to her son, Mike Africa Jr. Debbie has been incarcerated for Mike’s entire life and the two spent time together outside of prison for the first time on Saturday, following Debbie’s release. “After being born in jail and never being with my mom or dad, I’m happy to be with my mom at home for the first time ever in almost forty years. But my family is still incomplete because my dad is still in prison. 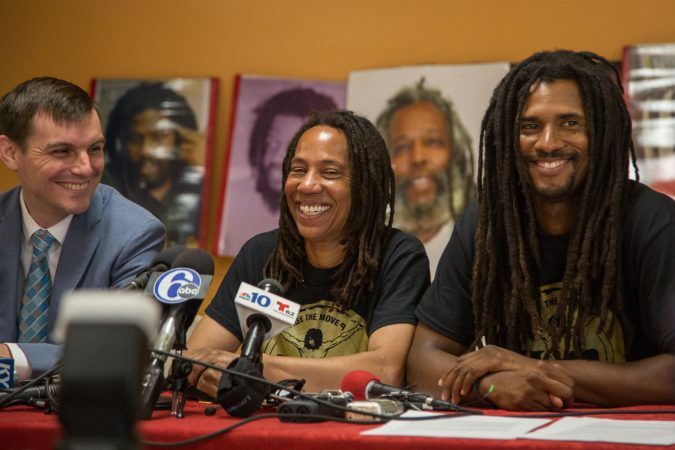 Forty years of separation is not over for our family,” said Mike Africa, Jr. His father, Mike Africa Sr. is also one of the MOVE 9 and still in prison. Mike Sr. is scheduled to next appear before the parole board this upcoming September. Janet Africa and Janine Africa, also of the MOVE 9, were denied parole after appearing before the Pennsylvania Board of Probation and Parole (PBPP) on the same day as Debbie. Debbie is the first member of the MOVE 9 to be granted parole. The surviving members of the MOVE 9 have been eligible for parole since 2008 and have each been denied parole when previously appearing before the PBPP. Debbie had not had a misconduct for violating prison rules since 1992. She also received the recommendation of the Pennsylvania Department of Corrections (DOC), as well as recommendations from Corrections expert and former DOC Secretary Martin Horn, and Philadelphia District Attorney’s Office. Janet and Janine also received the support of the DOC, Martin Horn, and the District Attorney’s Office. In letters written to Leo Dunn, the Chairman of the PBPP, Carolyn Engel Temin, the Philadelphia District Attorney’s Office First Assistant, wrote on behalf of District Attorney Larry Krasner that she was “confident” that Janet and Janine “will not pose a threat to the Philadelphia community” and that their “continued incarceration does not make our city safer.” In spite of these letters, the PBPP cited the “negative recommendation of the prosecuting attorney” as a basis for denial. In addition to Janet, Janine and Mike Sr., three other members of the MOVE 9 remain incarcerated, while two others died in custody. During the August 8, 1978 altercation, a Philadelphia police officer was killed and following a highly politicized trial, the MOVE 9 were convicted of third degree homicide. The six surviving members of the MOVE 9 who are still incarcerated are serving sentences of 30-100 are all eligible for parole. A judge on Thursday ordered a new trial for a convicted cop killer, Jackie Wilson, ruling that his two previous trials were unfair because a key piece of evidence against him was extracted through police torture. We, like so many Chicagoans, are disgusted that almost 40 years after two honorable police officers were killed, their families have not been granted the small peace that might come with an end to this judicial farce. But we also know the judge was doing his job — and doing it right. The blame for this endless travesty lies not with the judge, or with Wilson’s defense attorneys. The blame lies with a crew of rogue officers who once had so little respect for our criminal justice system that they beat confessions out of suspects. Now those bad confessions, transparently worthless, continue to haunt. The simple hard truth is that Jackie Wilson, whatever the character of the man, has yet to receive a fully fair trial. And our disgust is with the original sin of police torture. As Cook County Circuit Court Judge William Hooks thoroughly documented in a 119-page opinion, former Chicago Police Cmdr. Jon Burge and his associates at the time of the slayings routinely tortured African-American men to get confessions, including Wilson.